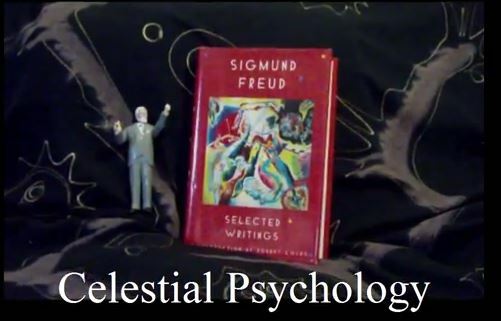 Check out this old video clip from 2010, when I was all excited about completing the registration process for Celestial Psychology. Note the action figures of Freud and Jung! Enjoy! This entry was posted in Celestial Psychology, Egoic Mind Paradigm, Evolutionaries, The Center for Holistic Empowerment and tagged #Agents of Conscious Evolution, #Evolutionaries, A Course in Miracles, Celestial Psychology, Consciousness, Consciousness Raising, Ego, Egoic Mind, Freud, Health, Higher consciousness, Jung, Mental Health, New Age, Spiritual Empowerment, Spirituality. Bookmark the permalink.